MASKerade: Muse 106 - Thank you! Muse 106 - Thank you! I focused on the colours and simplified the layout a little. But I kept the shimmer! 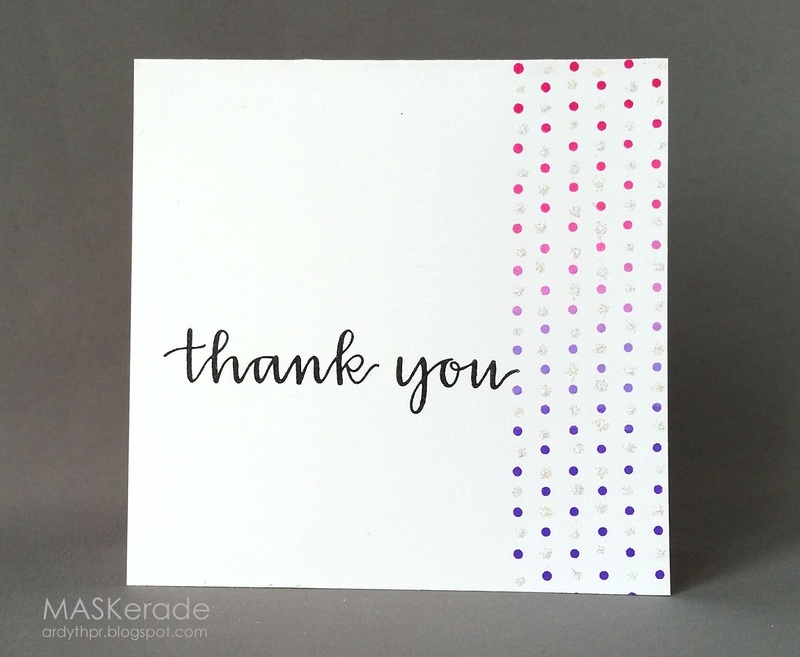 I used a very old Papertrey background dots stamp and Berry Blaze Kaleidecolor ink. I fit my emdash sentiment into the pattern and then filled in the 'blank' spots with dots of stickles. You have until Monday morning at 8 am to play along with us in this challenge. At that time voting will start and you can vote for your top 3 favourites (even if you didn't link up a card!) until Tuesday at 8. Voting results will be posted on Tuesday at noon. Hope to see you there! That kaleidecolor looks great in polka dots, Ardyth. Cute! I love the colors. You can't really see them, or the shimmer, in the thumbnail, so I was surprised when I clicked on it! This is so fantastic!! And its so funny for you to be making a card inspired by one of mine, when its usually the other way around! I've never used Stickles but must get my hands on some as I wondered how you got that effect. This has been the most amazing week and I've had so much fun visiting the entries. Can now see how fabulous it is for the Muse each week to have their card re-invented. Will have to keep an eye out for your next Design Team Member call!! Lov eyour sparkly card! Simple, yet elegant. This is just beautiful...love the bits of shimmer! 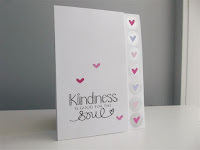 I think I've said this before but I love how you can break a design down to it's simplest elements so that's it's a completely unique card but you can totally tell where the idea came from. This is gorgeous!